The math test features a practice section with over 100 questions, each with a detailed explanation of the answer. The test section itself consists of 24 random, time-limited questions with answers. The Flight Director test assesses your ability to maintain an object as close a possible to a specific reference point. The scenario of is quite similar to flying an ILS approach. The pink horizontal and vertical lines will be constantly moving in different directions and it is your task to the keep them centered at all time. The Flight Director test features 3 or 5 minute test runs with the horizontal and vertical lines constantly changing directions. A score will be calculated afterwards. We strongly recommend joystick for best result. This test screens your information processing capability and spatial aptitude. You will be given an audio assignment to scan the given visual information and report back how many object of that type you have seen. Circle and Square has three time-limited levels (easy, medium and hard) and a score will be calculated at the conclusion of each level. This three-dimensional pursuit game assesses your hand-eye coordination and evaluates your spatial awareness skills and accuracy. The goal is to keep the directional indicator on a steady course inside the approaching rectangular boxes at all time. Flying Through boxes has one time-limited level of 5 minutes. We strongly recommend the use of a joystick for this test and we will give detailed instructions how to use it during this test. Scoring will be based on how accurate you kept the directional indicator inside the approaching rectangular boxes. This test is developed to evaluate your dynamic attention and your ability to focus on a primary task while the conditions are constantly changing. When an element appears on the board in the color indicated in the column and it is the letter indicated in the row, you should respond by pressing the correct keys. The Numbers & Colors test features 3 different levels (easy, medium and hard). All these levels have a time limit and the score will be calculated afterwards. This test is designed to assess your ability to find important information when under pressure. An object is shown in the top window and it is your task to determine whether or not the object is also displayed in the three windows below. The 2 Dimensional Test features a practice section with over 20 questions, each with a detailed explanation of the answer. 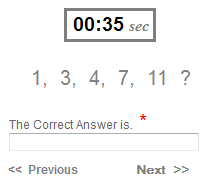 The test itself consists of 20 random, time-limited questions. A detailed scoring system based on accuracy will calculate the result afterwards. The purpose of this test is to assess your short term memory and reaction speed. You will hear an audio message mentioning a shape and a color. You will then see several shapes with different colors. When the correct shape with the correct color appears, you should press a key on your keyboard and enter information inside the shape. 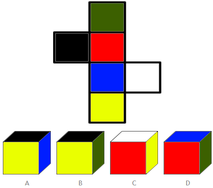 The Shape test features 3 different levels (easy, medium and hard). All these levels have a time limit and your score will be calculated afterwards. This test assesses your advanced multi-tasking abilities. During this test, you will have to combine your listening skill with visual monitoring skills as well as manual coordination. You will have to keep the vertical and horizontal lines centered, recognize shapes and keep track of numbers. Flight Director +2things features 3 different levels (easy, medium and hard). All these levels have a time limit and your score will be calculated afterwards. We strongly recommend the use of a joystick for this test and we will give detailed information how to use it for this test. How to subscribe to Pilot Aptitude Tests! 2 - Select one of the 4 options below. Please Note: We strongly recommend 180 days option. This option includes all the tests designed for pilot aptitude test.